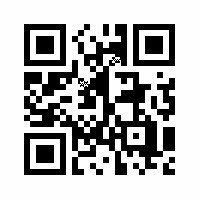 Your one-stop location for local, up to date and relevant information, tailor-made for your individual town. 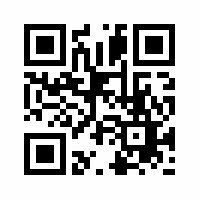 Choose your town from the list below or, if using a mobile device scroll down for the (QR) Quick Response codes. TV & Radio links; How to fix it videos. Hospitals; Doctors; Dentists; Vets; Crime; Flood information; Missing People; Disaster & Emergencies; First-Aid advice; Family Safety; Home Support. 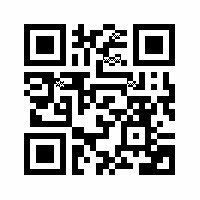 Contact numbers and websites for your local Schools; Colleges; Council Departments; News; Local Businesses and services. WOO-SAFE is about keeping you & your family safe. WOO-HOME contains lots of household advice. WOO-DRIVE is useful for the motorist. WOO-FIT is excercise for those who cannot attend a gym. WOO-KIDS helps keep the little ones amused and helps them learn. Describing WOO in a few words is not easy, the best way to find out how useful WOO can be is to explore it and see. Before the Mobile and Internet age, most households had both local telephone directories and advertising directories to find contact information, there were also 'Pink Cards', A4 size printed advertising sheets that were put through the door which displayed local numbers to local businesses, but all these have now ceased to exist. I wanted to not only replace these and once again have the information close to hand, but to greatly improve on them and have something easy to access whether at home, work or outside in the street. Quick and simple access to Emergency information and contact numbers of Hospitals Doctors and Dentists, Schools, along with adverts for numbers you may need quickly such as plumbers or electricians. it is an experience, it is a place to go to, and a place to be involved. The webpages go much further than the old printed directories, they utilise videos and pictures, and nearly everything you see is a clickable link that will give you even further information, Click on a name and it will take you directly to the contact number or even website. There are also useful tools such as converters and calculators at hand for when you need them, and special sections that enable you to access TV, or offer advice and help, some even show you how to do things by video. Aware that people are wary of, and do not want to download memory hungry 'apps' or use up valuable computer or device disk space, I decided to create it purely as a website, giving the user the option of creating just a small (2kb) shortcut on their desktop, or saving the website address to their favourites list to instantly bring the information to view. Some of the video content used in the creation of the site was made and is owned by others, Woo takes no credit for this, and all credit is given to the creators and owners. To create a tiny shortcut on your desktop, first go to the menu page for your nearest town. Highlight and copy the full address shown in the address bar at the top, then using the right button click on a blank area of your desktop and choose 'New' then 'shortcut'. Use the right button to click in the box, and Paste in the address, press OK. Another box will open for you to name your shortcut eg 'Woo', then press ok. Tuck this new icon away in the corner of your screen and you will have instant access to your own local information at a click of the icon. Alternatively, goto the menu page of your town and click to add it to your list of Favourite's. WOO wishes to be as environmentally friendly as possible, by reducing the use and need of paper leaflets and directories. And by promoting recycling ideas and practices. WOO wishes to give back to the commuinity, by providing the helpful information they may need all in one place, by creating awareness of local events, and involving the local community with its specialist sections of interest. WOO wishes to be non-political, unbiased and non-disciminatory. WOO wants to promote local businesses, groups, individuals and events. Promoting not only the town itself but Wales as a whole, showing off our beautiful scenery, many interesting places, extroadinary talent, heritage, history and it's culture. It also wishes to support where possible the many worthy charities and non-profit making groups, that give so much to our local communities and who make us proud to live in Wales. By providing free advertising space to help promote awareness. About WOO's Creator WHAT OUR USERS SAY ABOUT WOO HOW CAN I ADVERTISE ON WOO ? Business name, business address, contact name, business phone number, business email address, dates of advertisement periods and dates of payments. You can use your Smartphone camera to quickly go to your town's main page. Or click the image or button to be taken straight to the town of your choice. I started WOO as a personal project and with just one town in mind, Welshpool the town where I live. The original site over its years of development had many rewrites and style changes. Many new ideas were added and tried out and gradually it took its current form. I was soon approached by other viewers asking if their town could also be included, soon Newtown was added and then later followed by others. The interest grew and I had to decide on where I would take it to in the future. Woo is growing all the time, and many more new towns will be added once all the research into each town has been done. 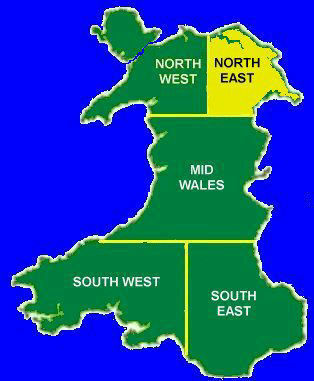 Wales has many county boundaries so to simpify things I had to split Wales into the five zones shown below, sometimes the information will overlap and towns on the imaginary borders will appear in two or more zones. I will concentrate on one zone at a time starting with 'Mid-Wales', and gradually expand to cover the other four zones. Who knows, as time goes by and with a little assistance from others, maybe WOO will grow to cover the whole of the UK.